It's true that this walk hardly counts as a hike because it's such a stroll on the beach, literally. We could have easily just stayed on the bus the additional two minutes it would have taken to get from Penzance to Marazion. But as we have to walk this section anyway—for the all-important bragging rights bestowed only on those who walk every single one of the 630 miles—we hopped off at Penzance, where I swear it is always raining, or just stopped raining, or getting ready to rain. ​Today is really about climbing up St Michael's Mount; seeing the St Michael's Mount gardens; and inside of the castle at St Michael's Mount. Hiking the South West Coast Path is mostly an add-on. But still, the stroll along the foggy beach is a bracing way to start the day. The bold rocky island of St Michael's Mount is always in view just up ahead. 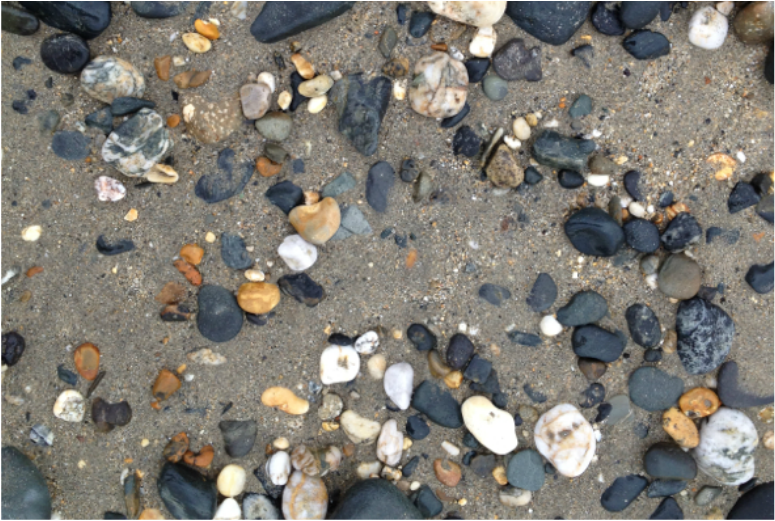 The most exciting part of the whole walk is choosing rocks to take back to the states for my collection. The tiny outcrop of rock up ahead on the left is where—when the tide is in—you catch the boat that takes you to the island. When the tide is out you can walk the stone path that magically appears when the water subsides. Well that was a short walk! ﻿What we've done so far. 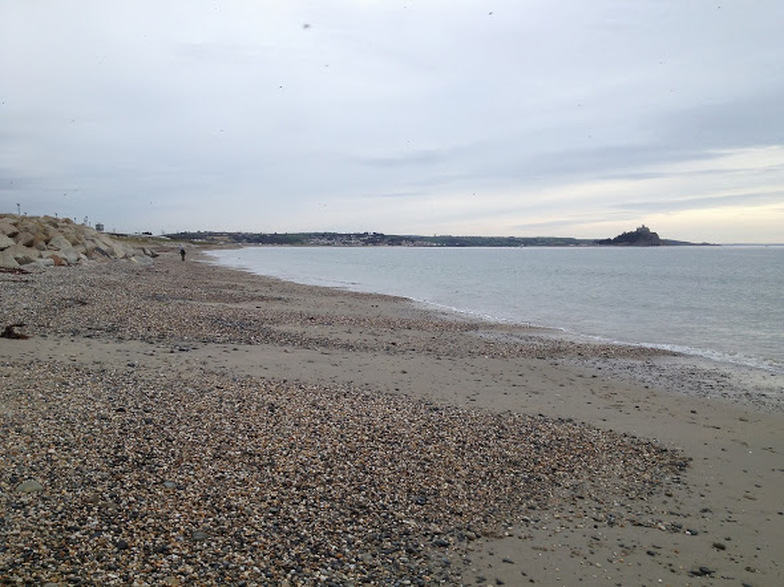 We skipped down here to visit St. Michael's Mount: spreading our completed and uncompleted sections even farther apart.